We all want to be good moms, so we set the bar high. In fact, our expectations are SO elevated that we end up neglecting ourselves in order to put the baby first. But what if the moments we think of as mom fails are actually beneficial to our kiddos? What if ‘good enough mothering’ is a good thing for our families? What if—sometimes—it’s okay just to show up? Today, Jessica and Corinne join us to explain how they came to work with moms and share the common struggles among their client base. They discuss how guilt and perfectionism lead moms to neglect themselves—especially when it comes to eating. 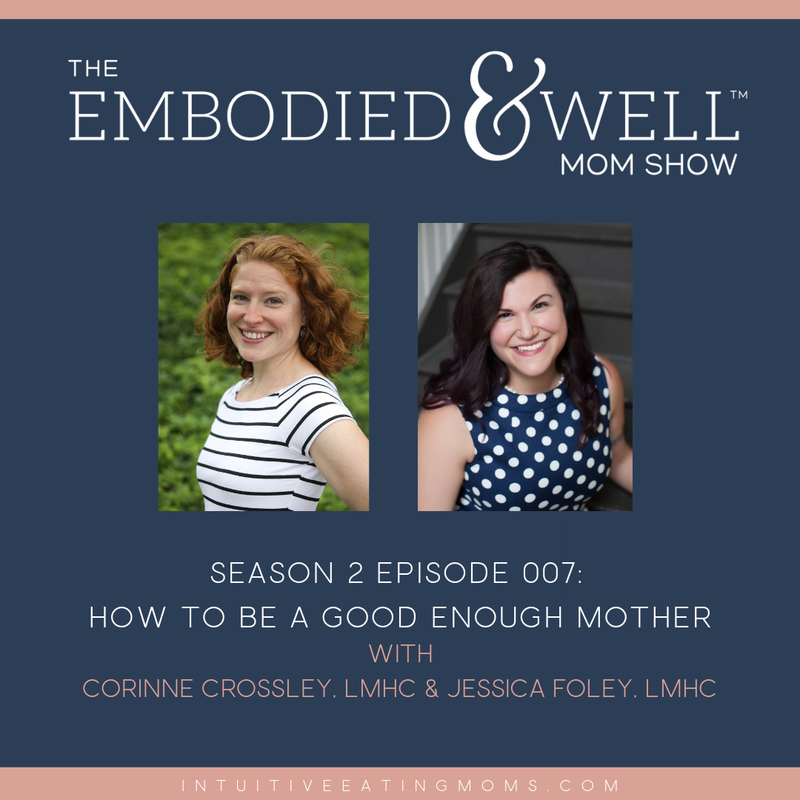 Jessica introduces the concept of ‘good enough mothering’ and Corinne offers insight around giving yourself permission to do less. Listen in for advice on reassessing your basic needs and learn how failing in manageable ways can actually benefit your kids! What’s good enough in this moment?